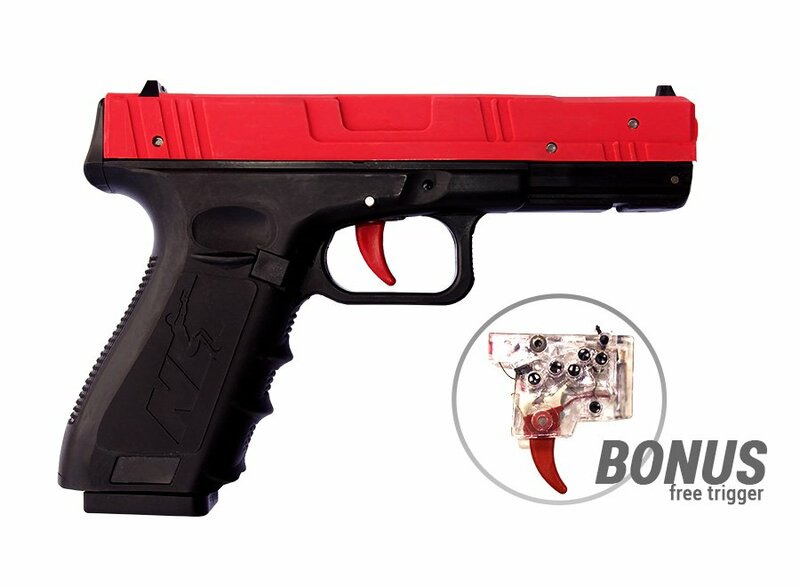 Dry fire RED laser Cartridge fits inside shotgun chamber and is activated by the firing pin. Dry fire cartridge red laser insert fits 9mm, .40 S&W, .380 ACP, .45 Colt, .45 ACP and .223 REM Special calibers handguns. Laser Training handgun with the trigger reset for dry fire practice. A trigger reset and the trigger pull 99% identical to G 17/22. Trigger Life 1+ millions and Battery Life 3+ millions dry fire shots. With iMarksman Sport you will be able to recreate USPSA stages and make your dry fire practice more dynamic. iMarksman® Use of Force System helps improve trainees’ accuracy and decision-making skills. Replacement Trigger for All SIRT Models. Safe, effective, and innovative, the Shot Indicating Resetting Trigger (SIRT) Training Pistol.